Netgear has rolled out a bunch of new networking accessories which will target the home theater market in the form of the High-Performance Wireless-N HD Home Theater Kit (WNHDB3004) as well as the Universal WiFi Internet Adapter for Home Theater Devices and Gaming Consoles (WNCE2001). The former is a carrier-grade, tested and proven solution for wirelessly playing multiple jitter-free 1080p HD video and audio streams to virtually every room in your home flawlessly, boasting twice the performance and range of solutions in the market currently. As for the latter, it is capable of delivering Wireless-N performance of up to 300 Mbps via its Ethernet port of consumer electronic (CE) devices including Internet TVs, game consoles and Blu-ray players among others. These devices are currently on display at CeBIT in Germany, just in case you were interested in getting a hands-on and will be paying the trade show a visit. We will take a look at the High-Performance Wireless-N HD Home Theater Kit (WNHDB3004) first, where you get multiple streams of simultaneous, jitter-free 1080p HD video sans the hassle of wires regardless of how many rooms your house has – barring the fact that you live in a palace, of course. This is touted to be the only solution currently available which has been tested to provide sustained throughput of HD streams in excess of 40 Mbps 99.9% of the time, despite going through multiple walls. Sounds neat, eh? This kit comes with a couple of two High-Performance Wireless-N HD Home Theater Adapters (WNHD3004), where set-up is a snap thanks to its plug and play capability. As for the Universal WiFi Internet Adapter, this USB-powered device won’t require you to tote around an extra power adapter or cable, and that alone makes it more visually appealing since it remains close and tight to your machine. 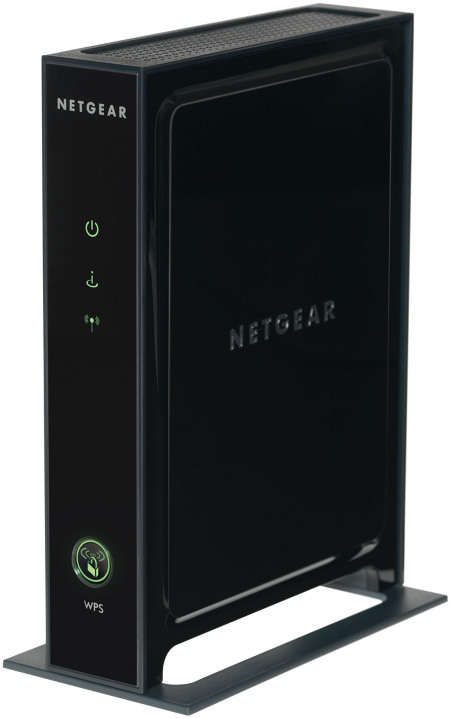 Thanks to the inclusion of the Netgear Push ‘N’ Connect technology and set up process that doesn’t require any CD at all, this is a true plug and play experience. Expect the Universal WiFi Internet Adapter for Home Theater Devices and Gaming Consoles (WNCE2001) to hit May for $79, while the High-Performance Wireless-N HD Home Theater Kit (WNHDB3004) will follow up sometime in Q3 for a yet unannounced price point.